Now in its fifth year, the North Face 100 is arguably the premier 100km and leading ultra-marathon event in Australia. For this edition, conditions were near perfect and a record 1,100 entrants lined the starting area at the Fairmont Resort, Leura to run through some of the most stunning scenery in the world. This year saw probably the deepest the field has been in terms of talent, with any number of 30-40 guys and gals capable of top ten placing in their respective categories, mixed with the international talent from South Africa, England and of course our Kiwi cousins too. And once again it was the international contingent that led the way in the mens. Ryan Sandes showed what a class act he is, with a stunning 9hrs 22mins, taking out the mens title and boosting his confidence ahead of Western States in a few weeks time. Vajin Armstrong, one of New Zealand’s strongest ultra runners took a well-deserved second place, also breaking he sub ten barrier with a 9:52. The first Aussie home was Andrew Tuckey, marking off a cracking 100km debut with 9:59, sneaking just ahead of local Blue Mountains runner and international 100km road rep, Brendan Davies who claimed a 10:02. The day however was marred slightly by a few idiots removing course markings near CP2, sending some of the lead runners off course by approximately 4-5kms. When you’re gunning for a top spot, that distance is just too much to give up and credit must go to North Face athlete Jez Bragg for pushing ahead and clocking up a 10:31. Indeed, it was a pleasure to have someone of Jez’s calibre over to Australia to race. Not once did he complain about the mishap and in speaking with him after the race you could tell how much he genuinely loved racing over here, describing the course as some of the best running he’s ever experienced in the world. We do hope that he will come back sometime soon, and bring with him even more of the world’s elite to race on our shores. In the ladies, perhaps the performance of the day from the entire field was the smashing of the ladies record by Beth Cardelli, clocking in with a superb 11:18. With a lack of races in NSW this year because of severe weather it was hard to tell what kind of form any of the ladies were in, but Beth showed that she means business this year with a barnstorming run. Previous record holder Julie Quinn kept up her remarkable run of form with second place in 11:51. Bernadette Benson snuck in under the radar for fourth with 12:13 and ‘junior’ runner, Bronti Ness claimed fifth spot in a cracking time of 12:35. In the pairs, the No Roads duo of Ewan Horsburgh and Angela Bateup lived up to pre-race expectations with a brilliant win and new course record of 10:28. However in amongst all of the winner’s stories are some other performances that deserve a mention. 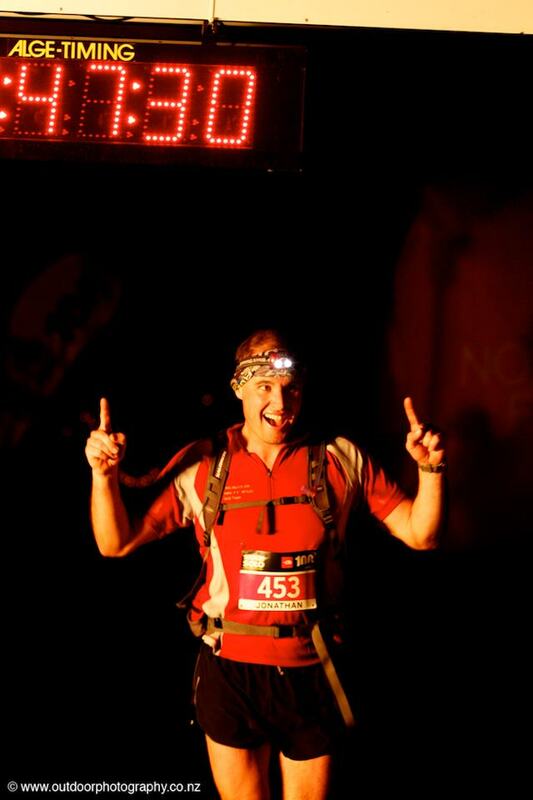 Jono O’Loughlin has not only completed all five North Face events, but has finished in the top twenty every time. Likewise, Russell Trotter, another Kiwi import has completed all five, and all of them over the grand old age of 50. Ultra168 founding member Darrel Robins has also completed all five and this year took out the ‘Grandad’ category with 13 hours dead. Credit must also go for those runners that stare 20+ hours in the face and spend the night out in the cold. It takes some pretty steely determination to spend that long out on the course and a big desire to finish. Massive thanks must also go to the volunteers. As I made my way around the course, these guys and gals that gave up their own free time were positioned in some of the most unlikely of places, and most were due a long cold night – without them the race would not take place. Credit also to Tom and Aleena who put on this massive event each year, a huge logistical operation which takes months and months of hard work, so that on the day things run as smoothly as possible. It’s probably fair to say that these guys have this event down to a tee and others look up to them to see how it is done. Proof of this is in the fact that I counted a number of other race directors who came along to merely observe what was taking place in an effort to take home some learnings from the guys at AROC. For those that achieved their PBs and goals, well done. For those who didn’t have a great day there is always next year, and this is something that really struck a chord with me as we listened to the presentation. For some (including what we would deem, the elites), goals were missed and times not what they quite expected on the day. But after all is said and done, it’s quite refreshing to just turn the watch off, look up and take in the stunning country we have the privilege to run in and around. For all sponsorship and cash injections coming into the sport, running is as simple as putting one leg in front of another and appreciating what you have around you. Goals achieved or not, it’s only running. I was impressed with Mick Donges finishing despite being reduced to a death march for 35k. Were you happy with your race Dan? It looked a pretty solid result. Can’t beat a 5.5 hour PB can you mate? Nah all good… of course, would always like a bit lower, and a few things didn’t go to plan on the day, but c’est la vie… it was a great day out and running down into the Jamieson and coming back up Kedumba just as dusk falls has to be one of the most special moments in running as you listen to the sounds of the forest. Magic! Incredible achievement Jono. Well done. Most improved award surely goes to you Dan. That silver belt buckle is dually deserved. The use of GPS trackers on the lead runners was a great initiative by AROC. I had friends and family tracking runners throughout the day and it meant more than just translating splits. I logged on at around 10:30am and saw that there was a big gap between the lead males. When I made it to CP3 it all made sence as rumours went around about the leaders getting lost. I have posted my race report if anyone wants to read. Great report Beth and congrats on a fine run. Should set you up nicely for the year ahead and GNW. Great report Beth and congratulations. It’s great to see hard work pay off! Tucks sent me his report this afternoon. Enjoy. I’m glad you mentioned Darrel Robins among the day’s great races. I came second in the Vets in 13:49 and was very pleased with that. Only 2 of us went under 14 hours. Darrel, though, went within seconds of a sub-13. Awesome job, mate! Nice to meet you Steve.I feel like a thief as I only fitted in the Vets by 3 weeks so time adjusted you should claim a moral victory. Great event and I am sure it will be bigger and better next year. Cooba is a funny dog but his maths are wrong. His owner is not a bad bloke through and has convinced me of a new training schedule for November.